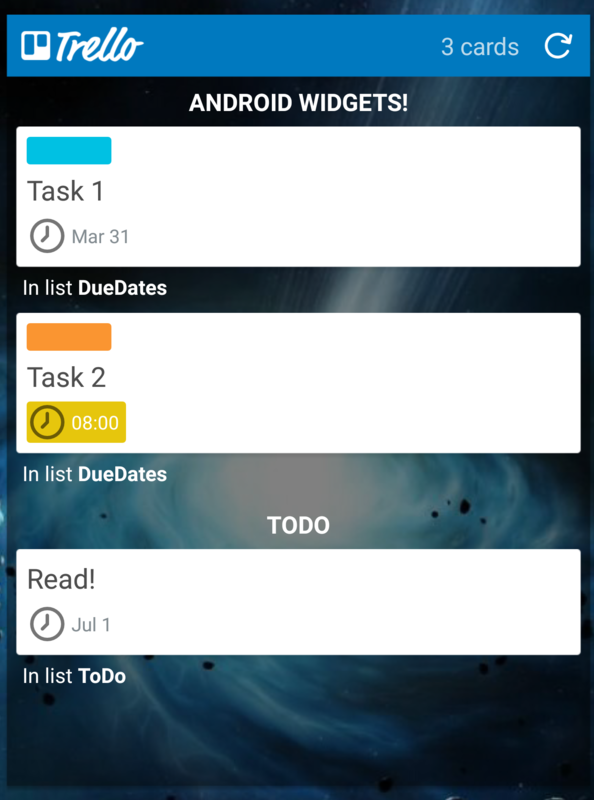 The Trello Widgets for Android are a great way to quickly add cards and see what cards you have due! The Trello Widget can be found in the same place as all of your devices other widgets. The location can vary based off of your specific Android version. 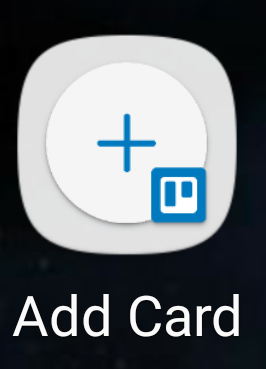 This Widget opens the Trello app directly to the “Create a Card” tab. The Assigned Cards widget will allow you to see all cards that your account has been added as a member on. 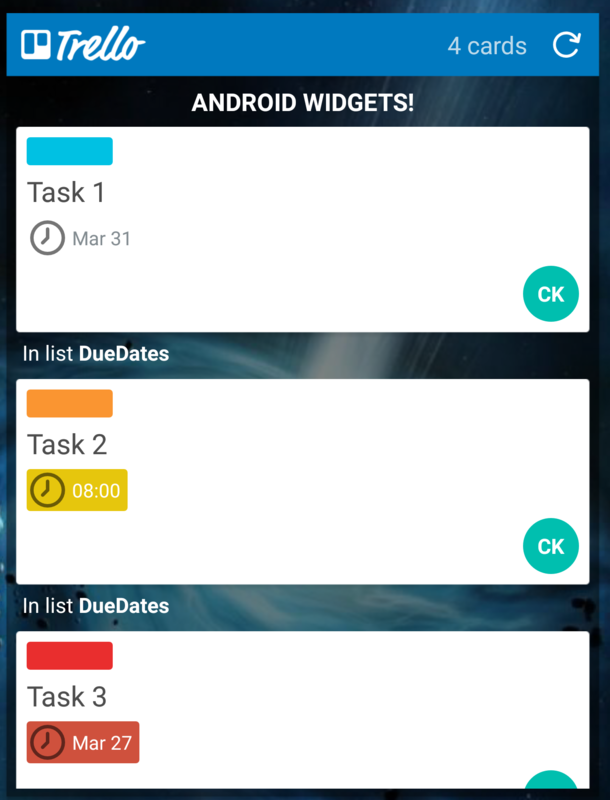 When you add the widget, you can choose if you would like the cards sorted by due-date or by board. The card will show the due-date, as well as the initials of any other users that are members of each card.Tapping on a card in the list will open that card in the Trello app. The Quick Add Card widget allows you to either open the “Create a Card” tab in the Trello App, or will allow you to directly take a picture to attach to a new card. If you have the Trello app saved on an SD card, you may have issues accessing the different widgets. If you find that are missing Widgets, you should reinstall the Trello app on your devices internal storage.